Ain't fooling anyone anymore, Murray. Beat It! They have a second chance with the Xbox release. 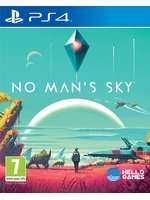 I think No Man Sky is a perfect "low intensity" game. I pick it up every now and then, between work, life and other games, doing small things bit by bit, slowly getting close to 100hrs played (a LOT for me). I liked it in his 1.0 version, I preferred then in some ways, it wonderfully conveyed the feeling of being truly alone, and millions miles away from everything. I still think it's a must to play it without any patch, at least for a couple of hours, before looking at all the newest content. I look forward to this new update, i'm curious what new things it'll bring to the table, but secretly I always hope they would actually dial down on some things, to get back to that initial sense of loneliness, and the hopeless feeling of being infinitely far away from anything. After no man's sea ended up having no content (to no-ones surprise) I'm sure no man's sky will be a welcome addition to the xbox library. Strong rumours that it's getting VR support too which I really hope are true. 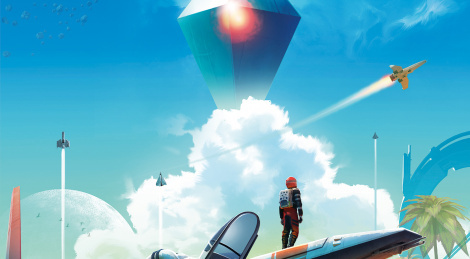 I love how the concept art leads you to believe it's a multiplayer game (which might have made this worth playing more than a few hours). An update a while back actually made it multiplayer. At least to the extent of having visible floating representative orbs of players who were in close proximity and you could leave messages for others to read...basically the same sort of MP integration as a souls game. Seems likely this new update is going to go all the way and have visible avatars and finish what they initially had planned? That would be nice. I think multiplayer would make sense with deep interaction between players (trade, combat, whatever), but it would also mean making basically a second game almost from scratch. Being this mostly a slow solo adventure, honestly still I fail to see why everyone want multiplayer in here so badly.